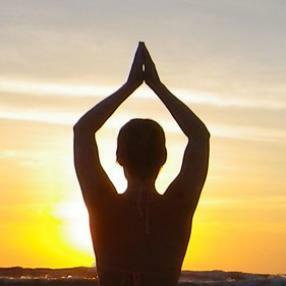 Hatha, literally meaning “sun and moon”, is the traditional physical practice of Yoga, used to balance our mind/body connection. In our Hatha classes, you can expect a slow moving flow of asanas (postures) to stretch/strengthen your body, pranayama (purifying breath work), and meditation. A regular Hatha practice will help you dissolve barriers that may have you stuck in habitual and limiting patterns, opening you to your authentic self. The techniques used in these classes will encourage you to find your roots, to be mindful and to enjoy the journey! ALL levels of experience are welcome; whether you're brand new to yoga or are a seasoned practitioner. A unique, six-week online meditation course suited for beginners and also very rich in content for all experienced meditators. Each week receive videos, audios, pdf manuals and join one group LIVE online class with Padma, directly from the Himalayas! REGISTER before April 12 and join this spring session! This class infuses the basic postural alignments of Hatha yoga with a well balanced flow of poses, open to beginners and experienced yoga practitioners (good for students of all levels). You can expect a slow moving flow of postures to stretch/strengthen your body, pranayama (purifying breath work), and meditation. The easiest variation of the pose will be taught, then more advanced options will be given for those who are looking for a more challenging practice. Foundational asanas, with a focus on alignment and breath. 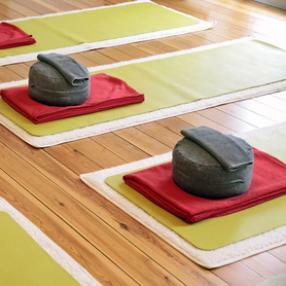 Come relax and restore your energy mid-week in this nourishing Hatha class. All levels welcome! You'll hold your poses a bit longer. This class is designed to bring you down from your day, relax you, and get ready for a productive rest time before bed. Susan is trained to teach Hatha and Vinyasa Yoga, the classical form of yoga postures and breathing that revitalizes the body physically and mentally. It is an uplifting practice that increases muscle tone, improves flexibility and concentration, detoxifies the vital organs and allows you to relax deeply. Susan did her training her in Langley at Grove Yoga school and has her 200 hour Registered Yoga Teacher (RYT) designation. She still thinks of her herself as this little girl at heart seeing the positive in people and the world we live in. Her love of yoga comes from her believe in mind, body and spirit. 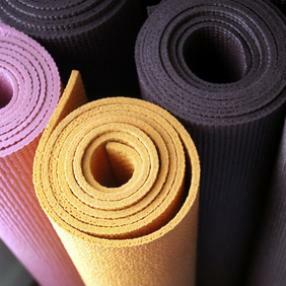 Come take time on your mat and be the best person you can be. Restorative Hatha is the most gentle kind of yoga you can find. If you are recovering from an injury, heart ache or work stress, this practice gently and compassionately brings you back into your body.